Hundreds of people gathered in Vintage High School in Napa for an emotional memorial in honor of Alaina Housely, a victim of the Thousand Oaks mass shooting. Jean Elle reports. Actress Tamera Mowry-Housley and her husband, former Fox News correspondent Adam Housley, confirmed Thursday that their niece, Alaina Housley, was one of 12 victims killed in the Southern California mass shooting at Borderline Bar & Grill. "Alaina was an incredible young woman with so much life ahead of her and we are devastated that her life was cut short in this manner. We thank everyone for your prayers and ask for privacy at this time," the couple said in a joint statement to NBC. The Los Angeles Times reported Adam Housley arrived at Los Robles Medical Center, the nearest hospital from the bar, around 3:30 a.m. PT searching for information on his niece but was not allowed through. He told the Times her Apple Watch and iPhone still showed her location inside the Thousand Oaks bar. Hours later, Adam Housley tweeted out a statement from Alaina's parents, Arik and Hannah. They said she was "everything we could hope for in a child: kind, smart, beautiful and respectful." "We want to honor Alaina by focusing on how she lived her life," they said in the statement. "She would have enjoyed the public debate that is certain to happen after this tragedy. But she would have insisted that it be respectful with an eye toward solving these senseless shootings." Mowry-Housley, a co-host on the daytime talk show “The Real,” and Housley had taken to social media overnight frantically searching for information. Mowry-Housley had responded to a tweet from a college student who was looking for her suitemate. 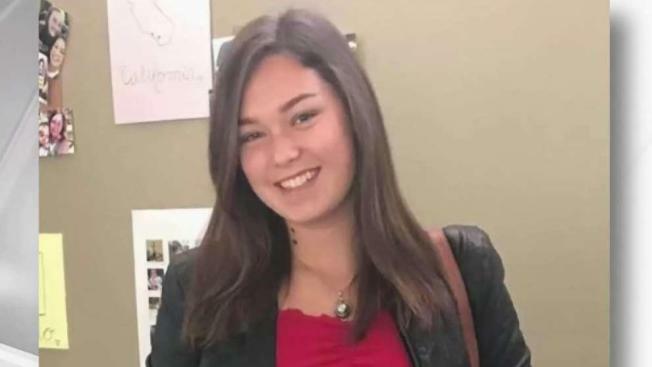 The student, Ashley, posted photos of Alaina and described what the 18-year-old Pepperdine University freshman was wearing when she was last seen at the country music event at Borderline Bar & Grill. “Ashley this is her aunt Tamera Mowry-Housley. Can you please DM me your information?” she replied to the post. 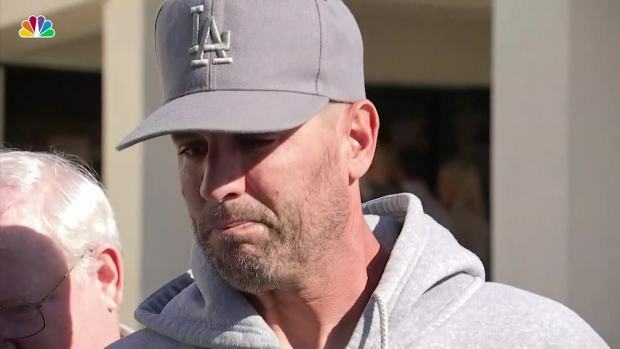 The suitemate responded that she had been in touch with Mowry-Housley’s husband and that Alaina was the only friend missing from their group of girls who went line dancing Wednesday night. Adam Housley wrote on Twitter that he was "staying positive and praying and hoping and wishing there was more I could do." The “Sister, Sister” star posted an update at about 9 a.m. ET that Alaina had not yet been located. “It’s been 7 hrs,” she added. By Thursday afternoon, the couple confirmed they had "just learned that our niece Alaina was one of the victims of last night’s shooting at Borderline bar in Thousand Oaks." "Our hearts are broken," they said. Pepperdine University released a statement saying the college was "devastated" to report the loss of one of its students. "Our hearts are broken with the news of this profound loss. We offer our deepest condolences to the Housley family and ask that our community join us in keeping Alaina’s family, friends, and loved ones in their prayers during this incredibly difficult time," the university tweeted. Alaina Housley graduated in June from Vintage High School in Napa and turned 18 a month later. According to social media posts, by August, the college freshman had moved into the dorms at Pepperdine University in Malibu. Twelve people, including a Ventura Country sheriff's deputy, were shot and killed late Wednesday at the bar. The attacker, identified as a decorated 28-year-old Marine Corps veteran from the area, was found dead in an office at the bar after shooting himself, investigators said. Ventura County set up a family reunification center down the highway from the Borderline, which the sheriff's department says is staffed with chaplains and Red Cross workers. 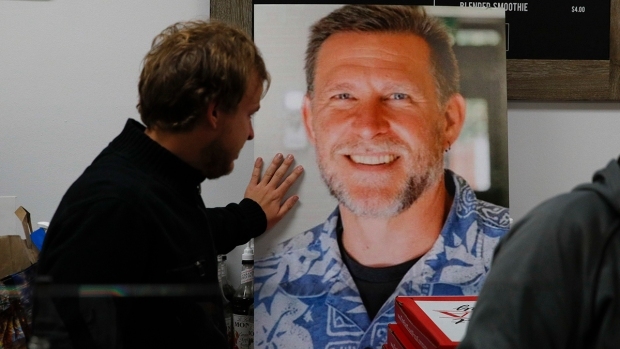 Outside the center, Thousand Oaks City Councilman Rob McCoy and senior minister at GodSpeak Calvary Chapel, told reporters that families still waiting for information on those who are unaccounted are "just hoping against all odds." "The longer they wait it appears to be inevitable to many of them and you just hug them," he said. Earlier, Mowry-Housley’s identical twin sister, Tia Mowry, also took to social media to express shock over the news and pleaded for information about Alaina’s whereabouts. "Alaina Housely we are praying. We love u! If you know anything or any information please let us know. We love you! #borderline," Mowry wrote on her Instagram page. An emergency hotline is available at 805-465-6650 for family and friends looking for information. CORRECTION (Nov. 8, 2018, 4 pm. ET): The headline on an earlier version of this story misspelled Tamera Mowry’s last name.